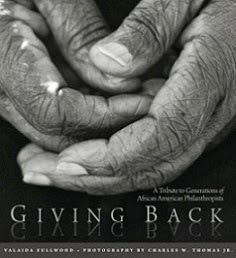 Today is your last chance to vote for your top black celebrity philanthropists of 2008! The countdown begins next week, so make sure you vote for your favorite celebrity! View finalists here and vote here. Russell Simmons. 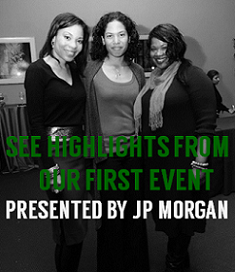 Hip hop mogul, author, entrepreneur. Last year, USA Today ranked Russell as one of the top 25 most influential people in the last 25 years. He's joined on the list with individuals such as Sergey Brin & Larry Page, the co-founders of Google, and Bill Gates. That's pretty impressive. I coined Russell the 'hip hop philanthropist' because I'm sure he's inspired many hip hop artists to give back to their communities. He's involved with so many charitable and philanthropic activities, that I can't even list them all, but here's a few: He's Chairman of the Foundation for Ethnic Understanding, founder of Rush Philanthropic Arts Foundation, which exposes youth to the arts, serves as a board member for the Hip Hop Summit Action Network, and is the primary investor of Global Grind, a hip hop social network. He also found the time to write a book, 'Do You: 12 Laws to Access the Power in You to Achieve Happiness and Success. 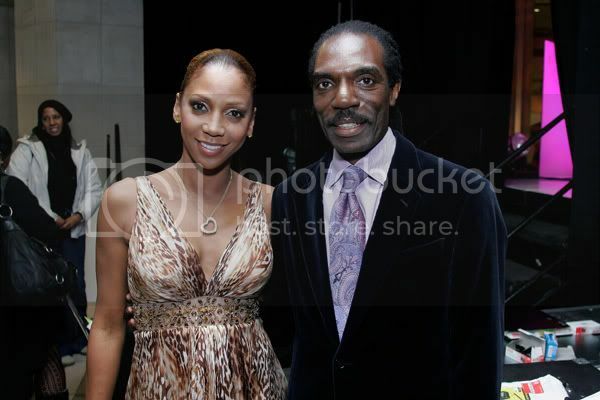 Rodney & Holly Robinson Peete. Former NFL player; actress, author. The main thing I love about this philanthropic couple is that they include their children in their giving. Here they attend Vh1's Classic Rock Autism Celebrity Bowl Off charity event, on November 13, 2008 in Hollywood. Rodney and Holly's eldest son was diagnosed with autism at the age of 3, and Holly has become a national advocate for children and families affected with the disorder. 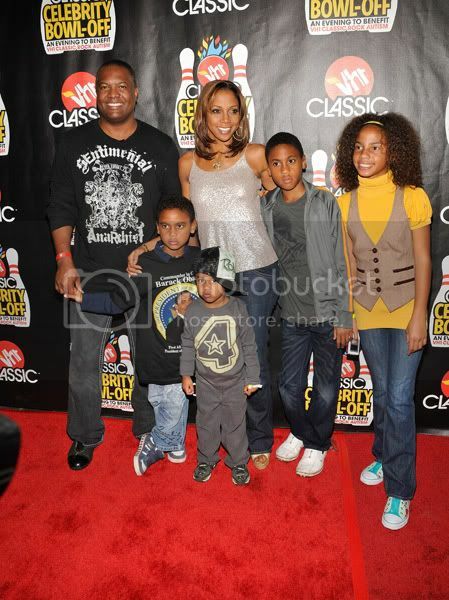 The Peete family is also featured in the 'Nothing Compares to Family' campaign, which stars celebrity families in ads that benefits children's charities for the shoe company Skechers. The selected charity for their ad is HollyRod4Kids, an initiative of the HollyRod Foundation, which helps children and their families affected by autism and other disorders. This year, Holly hosted the Lexus 'Arriving in Style' event, a private showing of designer Kevan Hall's (pictured on right) spring 2009 collection in various cities, that benefited HollyRod4Kids. I was supposed to attend the DC event, but I injured my foot! Oh well, there went my opportunity to meet Mrs. Peete! Maybe next time. 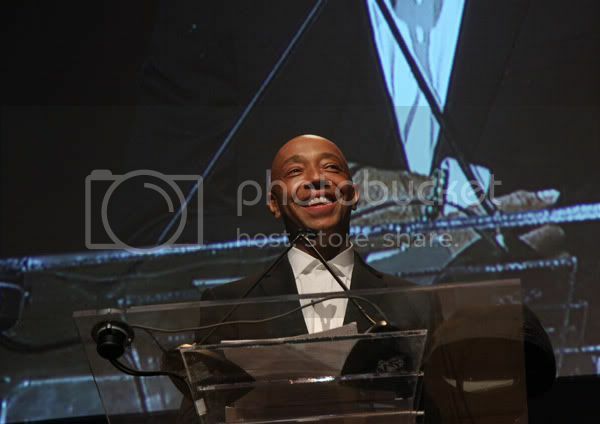 So, it is my pleasure to induct Russell Simmons and Rodney and Holly Robinson Peete into BlackGivesBack's Top Black Celebrity Philanthropists Hall of Fame! They'll join fellow philanthropists Oprah Winfrey and Magic Johnson! The 2008 countdown begins next week! Rodney & Holly Robinson Peete are very active in various charitable efforts, so no surprise they are in the Hall of Fame. I wondered why they, along with Ol' Russy, Oprah and Magic Johnson were not listed as finalists. Can't wait to see who is #1 celeb this year!